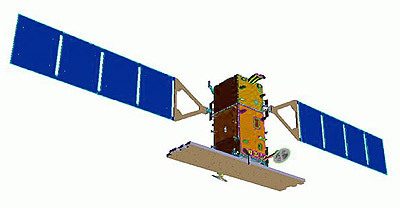 COSMO-SkyMed second generation (Constellation of Small Satellites for Mediterranean basin observation) or CSG is an Earth observation program of the Italian Space Agency (ASI) to replace the first generation COSMO-SkyMed system. For the second generation, the COSMO-SkyMed constellation has been reduced from four to two spacecraft. The satellites are improved versions of the original design. They utilze an improved version of the Prima Bus. The CSG-SAR (COSMO-SkyMed Second Generation Synthetic Aperture Radar) is also an improved version of the first generation X-band SAR system. The contract was signed in September 2015. The satellites will operate in the same circular sun-synchronous dawn-dusk orbit as the first generation satellites with a nominal altitude of 619 km and an inclination of 97.86º. The satelites operate in the same orbital plane.